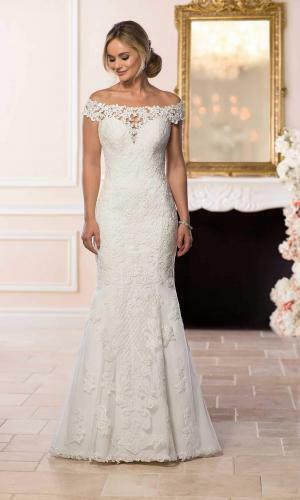 This off the shoulder lace back wedding dress features a mix of classic lace and whisper soft chiffon that was made for walking down the aisle! 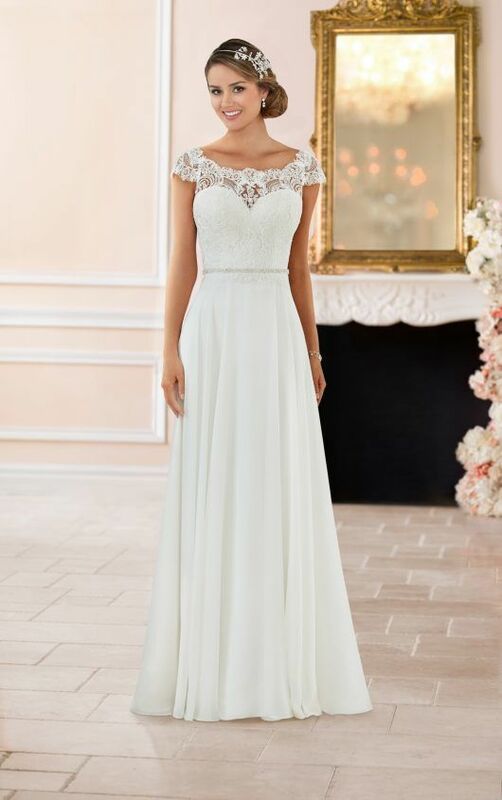 With a bateau lace neckline that sweeps into an off the shoulder cap sleeve, this simple column silhouette is given a traditional twist. The lace continues over the bodice and just below a natural waistline, finishing in a scalloped edge under a sparkling detachable Diamante belt. The elegant chiffon train is complemented by an illusion lace back that comes to a V just above the waistline, creating a naturally flattering fit.